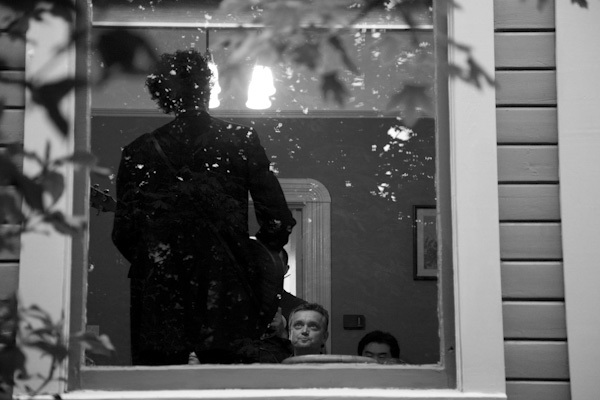 Walter Parks warms up before performing a house concert in southeast Portland. There’s the old debate about whether or not there is a “first annual” anything. But you see it all the time. First annual festival. First annual sale. First annual meeting. The AP style book sends a quick reminder that the word annual should not be used until an event has occurred for successive years. And so it’s difficult for me to say that I am starting a “long-term project.” It can’t really be a long-term project until I have worked on it for some time. However, I am intrigued by the house concert. After hosting a show at our home last month, I decided I would try to slip into a few and make some pictures to see what happened. 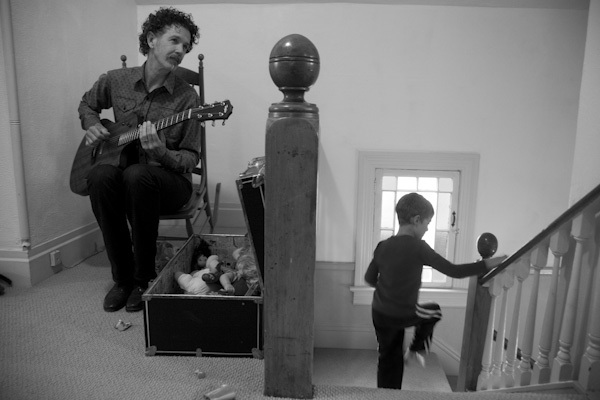 Walter Parks is a great guitarist based on the East Coast who played a little house concert the other night. He plays guitar for the legendary Richie Havens, he’s in Swamp Cabbage and he plays soulful, thoughtful tunes as a solo artist. 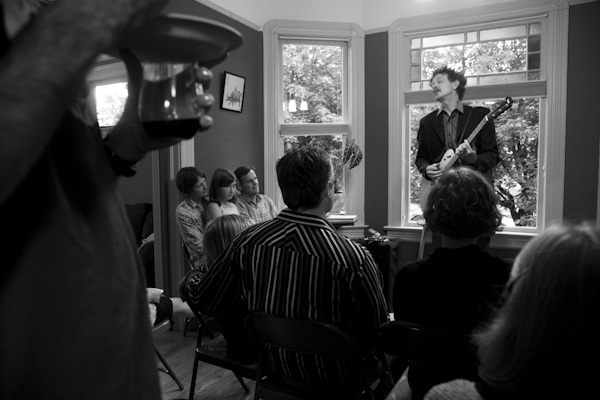 It was a thrill to be in little dining room in southeast Portland watching him perform. I love this and want to dig deeper. I hope to continue with it for some time. A long time. This entry was posted on Friday, April 30th, 2010 at 11:31 pm. It is filed under music and tagged with concert, labarge, music, oregon, photograpy, photojournalist, portland, tim. You can follow any responses to this entry through the RSS 2.0 feed.